When you are shopping for a minivan to use as you go about in Cortland, consider the popular Chrysler Pacifica Hybrid. This hybrid minivan has much to offer, and there are many things about the interior of this vehicle that will please you. Do you tend to get cold when you are driving in the winter months? Do you long for something a little extra in your vehicle that will help you stay warm? The Chrysler Pacifica Hybrid has available heated front seats so that you can warm your body in a whole new way. Are you tired of struggling to find cargo space in your vehicle? Do you have more cargo than the typical minivan will give you room for? 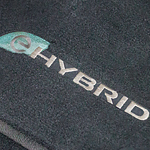 The Chrysler Pacifica Hybrid provides you with seats that can be folded down and stored in the floor of the vehicle. This provides you with a great amount of cargo space.